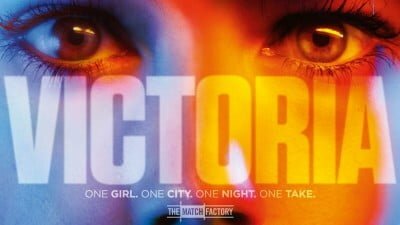 Directed by Sebastian Schipper, Victoria is an incredible feat, constituting of a single continuous take, shot over two hours, and completed in three attempts. The script originally consisted of twelve pages, with most of the dialogue being improvised on set. 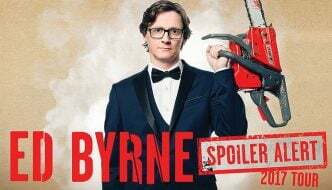 The premise is risky, with so much that could go wrong this film that could have turned into a half-hearted gimmick, complete with unbelievable characters and clumsy filming. Victoria, however, is astonishingly successful. The opening frame is constructed of a scintillating blend of strobe lighting and thick smoky air, cutting through a throbbing techno beat. The audience is immediately thrown into an atmosphere akin to that of a Berlin nightclub as we look through the jolty lens of a camera up to our dancing heroine Victoria. 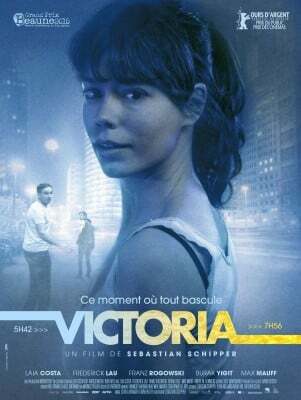 The German drama follows the character of Victoria – played by Laia Costa – a young Spaniard who has been living in Berlin for three months. Having no qualms about enjoying a night out by herself, she is portrayed as a free-spirited individual. As the action proceeds the audience sees her meet four men in a club who invite her to smoke and drink with them on the roof of an apartment building. The characters play off each other through quick-witted dialogue, creating a light-hearted tone that complements the ever growing relationship between Victoria and Sonne, played by Frederick Lau. The two make their way back to the café where Victoria works, where she invites him in for a cup of coffee. When Sonne notices a piano there was a moment where I feared that the scene would have developed into a formulaic cliché complete with an obligatory sub-story. This is prevented by the improvisation and the actors’ ability to be subtle and honest, making for endearing conversation. After much persuasion, Victoria sits down to play one of the Mephisto Waltzes. A sudden shift of atmosphere pervades through the cinema as this evocative piece of music moves both characters and audience. An atmosphere, however, which is not to last for long. The rest of the men soon come tumbling into the café, highly intoxicated, with one of them throwing up everywhere. Flustered and agitated, they insist that Sonne needs to ask Victoria to fill the shoes of the drunken friend in a task unbeknown to us or Victoria. The budding romance is therefore postponed as Victoria agrees to act as a driver for a bank robbery heist the men have planned. The action that follows escalates in a relentless stream of events as the characters are taken through a spectrum of emotions, experiencing and evoking everything from euphoria to despair. The film is certainly unique. We are immersed within the authentic atmosphere of Berlin at nighttime, which is worlds away from the glamour of a Hollywood drama. The score – composed and produced by Nils Frahm – makes for an exquisite soundtrack that adapts seamlessly to the nature of the scene, whether that’s via intense electronic beats or ambient, instrumental sequences. At times, the plot of the film is somewhat implausible, yet the team must be credited for filming the entire thing across 22 neighborhoods and in the space of a mere few hours. Cosidering the lack of glitz, it is a remarkable achievement, and it is no wonder that it won the Silver Bear for cinematography at the Berlin film festival. The amalgamation of stimulating action with its raw execution creates an intoxicating yet elegant piece of work, and one which I would highly recommend.